Our Spelt and Honey Bread has been gaining in popularity and is now one of our most popular loaves, so we’ve decided to make some Spelt and Honey rolls as well. Like the bread they are made with spelt flour rather than wheat flour. Lots of people ask us what is Spelt, so here is a quick explanation. Spelt is a cereal grain in the wheat family. The grain has been cultivated for centuries, in both central Europe and the middle east.It looks very similar to wheat in appearance, but it has a much harder outer shell before it has been milled. It has a nutty and slightly sweet flavor, similar to that of whole wheat flour. It does contain some gluten, so is not suitable for those with coeliac disease, however many people with a wheat intolerance find that they can eat spelt products. 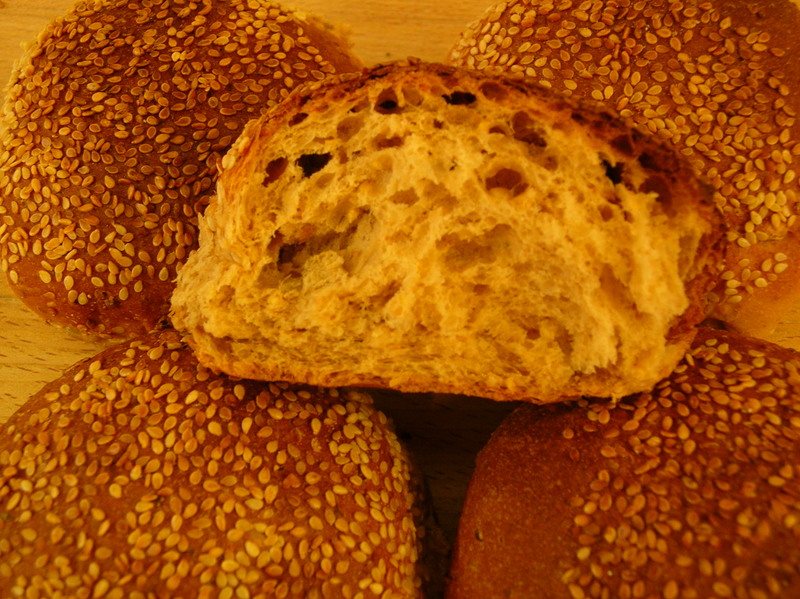 For those people our Spelt and Honey bread and rolls are ideal. Apart from any health benefits our Spelt and Honey Bread and Rolls are also delicious having a nutty slightly sweet taste. At the meoment we have the rolls on offer at 6 for the price of 5, saving you 36p on a pack of 6. This entry was posted in Bread, News, Offers and tagged Bread, real bread, Spelt, Victoria Bakery. Bookmark the permalink.